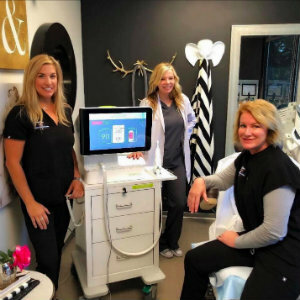 Join Image Perfect Laser in Irvine for a VIP event on Thursday, Nov. 8 from 4-6 p.m. They’ll be covering the latest equipment and techniques that they’ve recently introduced into their practice: Viveve, a non-surgical treatment for common vaginal issues, including urinary incontinence, dryness, and vaginal laxity; IPL; MicroNeedling; and Fractional Resurfacing. Attendees will receive a goodie bag and exclusive special offers. There will also be a raffle for the opportunity to win $500 in services. Hors-d'oeuvres and refreshments will be served in a safe, casual environment. Their services are performed at their medical facility, Signature Plastic Surgery & Aesthetics in Irvine, and always under the supervision of Dr. Eleonore Zetrenne and Dr. Mark R. Kobayashi. RSVP here to secure your space by November 5, at 949.485.3866 or email at imageperfectlaser@gmail.com. 4605 Barranca Parkway, #205 in Irvine. 949.485.3866.